My name is Chris Rijksen. I am a creative with a camera; telling stories on diversity and the human condition. My work is mostly concerned with play, identity and the relation of an individual with the world. I graduated in 2013 from the Royal Academy of Art in The Hague, and in 2015 from the Sandberg Institute in Amsterdam. This website is a collection of my work and get irregular updates. If you want to get in contact – go to my contact page. Most of the time I works with the Transketeers, a filmmaking and advocacy collective of Bart Peters, Jonah Lamers and Chris Rijksen. 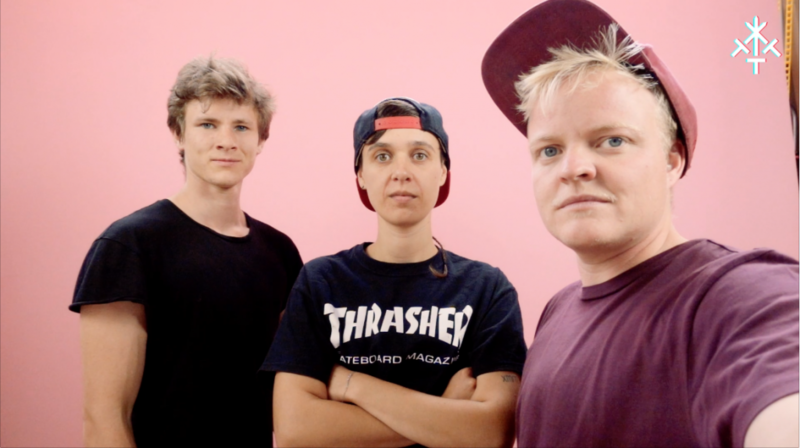 We are transmen based in Amsterdam, The Netherlands, and joined forces in 2014 to make their first project Trans*Tapes. After successfully finishing the Trans*Tapes the Transketeers have since then produced a range of audiovisual productions, and have been active speakers in public forums on genderdiversity. We specialize in telling unheard and invisible stories from original sources. Our strength is the creation of narrative productions with a focus on authenticity and inspiration.